This is the first year that diversity and inclusion director has been its own position. Academic counselor Kelly McKee was previously in charge of diversity and inclusion at STA. 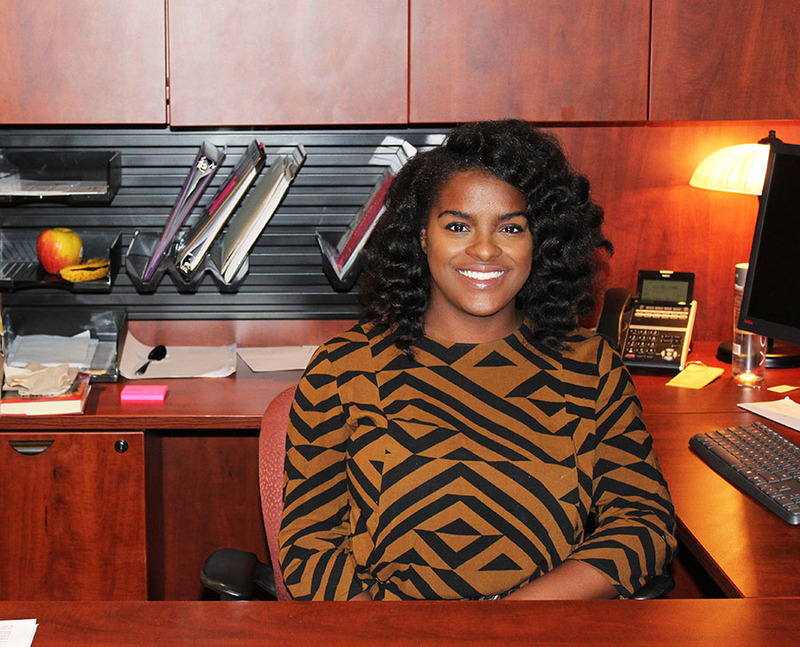 Brianna Walker walked into a job fair in St. Louis, Missouri, unsure of what she was going to find. She sparked a conversation with principal for academic affairs at St. Teresa’s Academy Barbara McCormick. After a long conversation about St. Teresa’s and its search for a new diversity and inclusion director, McCormick and Walker decided that Walker would be a good candidate for the job. This year is the first time STA has made diversity and inclusion director its own position. In previous years, academic counselor Kelly McKee was in charge of diversity and inclusion. “Overall, I would say that the goal of the diversity coordinator is to help increase and celebrate diversity in the St. Teresa’s community, while also helping to nurture an inclusive and welcoming environment for all,” McKee said. McKee was originally given the responsibility of managing diversity and inclusion four years ago after the school board underwent a diversity needs assessment. While working as diversity and inclusion director, McKee focused on three ideas. “The three main goals that were created as part of that strategic plan were: student education and awareness, faculty training and education and recruitment efforts toward a more diverse student body and toward a more diverse faculty and staff,” McKee said. According to Walker, the school decided to create a separate position because McKee’s job as academic counselor often took time away from her responsibilities in diversity and inclusion. McKee agrees that diversity is very important to STA, so it was necessary to appoint someone who could handle the responsibilities of the position. Sophomore Ellen Colombo agrees that diversity is important at STA. Although she is not an official member, the Asian Affinity Club is important to her personally. To create more diversity in the student body, Walker wants to visit and recruit students from a wider range of middle schools. Walker is not only focused on creating diversity in terms of race, but in terms of the perspectives of the students. She also hopes to create more economic diversity by providing more scholarships. Walker stresses that academics are not always the most important aspect of St. Teresa’s. Walker’s main goal is to make the staff and faculty at STA more diverse. Having a diverse staff is an important aspect of having conversations about race or ethnicity. Colombo agrees that having a diverse staff is important because it brings different perspectives to the classroom. Walker is also aiming to create more involvement with the parents because they often influence their children. “In order to make sure that the student population is as diverse as we want it and as all-encompassing as we want it, we have to make sure that our parents understand that, and we have to make sure that the community understands that,” Walker said. McKee states that Walker’s work will be important at St. Teresa’s because of the benefits that a diverse community can have on a student. “Diversity has really been an integral part of the St. Teresa’s mission and philosophy since our founding and the St. Teresa’s community values a diverse community because we know that the students who attend schools with a diverse population will develop a better understanding of the perspectives of those of different backgrounds, which will then help prepare them to function effectively in a multicultural and multi-ethnic environment,” McKee said. According to Walker, because of the ever-changing environment both in the United States as a whole, and on campus at St. Teresa’s, diversity is a timeless issue.